for you to copy and paste. • Banner Links - Allow you to put Solar Direct image ads on your website that link to the home page of the Solar Direct website. • Product Links - Allow you to put individual product images on your website that link to each particular product. 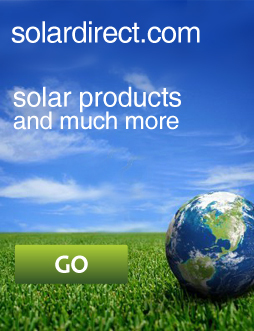 • Category Links - Allow you to put an image or text link to an entire category of the Solar Direct website. • Text Links - Allow you to put Text Ads on your website that link to the home page of the Solar Direct website. In addition, the Affiliate Referral Code allows you to refer the Affiliate Program. You will receive commission from every person that signs up using this link. Either way you choose to create links, custom code will be generated with your unique ID for you to simply copy and paste. The code will track and record clicks, sales and referrals that will be available to you on the Reports Section of the Control Panel. Any customer and referral that follows your links to our website will be credited to your account. 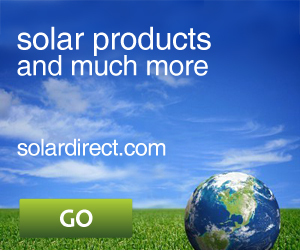 The Solar Direct name is recognized and trusted in the marketplace; use Solar Direct logos and banners on your website to bring potential customers to the Solar Direct store. Below are sample images, you will need to complete STEP 1 and follow the instructions above to get custom banner links with your unique affiliate ID.